Here I go again reading a book in the middle of a series. At least this one was pretty decent as a standalone, so I don't feel I missed a whole bunch. There were some references and back story I could tell I was missing, but the story still did well without it. This story follows Lottie and her family. I liked her and her beau Rory a lot. I was rooting for him to give her the one thing she really wants! The story was fun a few slow parts that seemed to drag on and on. I had to skim a couple of times for my sanity. After a while I did get used to the occasional lull in the story, it seemed to be a part of the author's writing style. Honestly? This made me in the mood for Xmas. LOL It was very Christmas-y, but done in a good way where it wasn't obnoxious. I may put up my tree a little sooner than I normally do this year ;) So yes...this is a good way to start your Xmas reading for sure. There were some lulls, but I enjoyed the story and the characters a lot, so I found it was worth the read. It helped that this was a freebie lol! I loved that this was a quick read even with the lulls here and there. 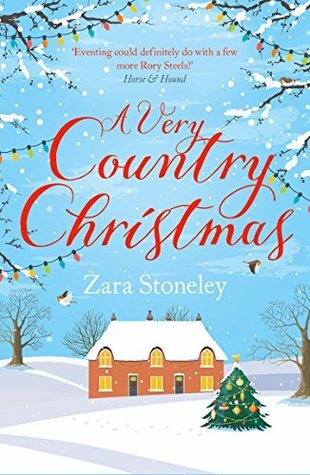 If you need a good, quick Xmas book this is the one for you. Fun characters and a fun story to get you in the holiday mood. I'll stamp this with...mmmmmmm....3 stars. *waves weakly* It's almost December!